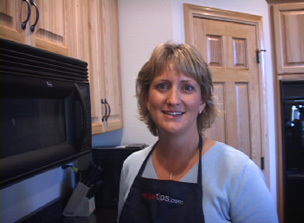 RecipeTips.com's video tip on how to prevent boil overs. For more cooking tips and advice visit RecipeTips.com. Here is a quick tip. The next time you are boiling potatoes, add one tablespoon of butter or margarine to help prevent boil overs. It works every time. For more great tips, visit RecipeTips.com.